DJ Leakz is a LEGAL MP3 music resource for professional DJs Only (Radio Mixshow, Club and Mobile Entertainers). DJ Leakz is a registered company, operates websites, provide DJ records, gear, clothing, music consulting, artist promotion and provides digital records primarily for music industry professionals. Our digital record pool (“Service”) will deliver promotional music and information (“Material”) regarding artists and labels through our website worldwide primarily to authorized music industry and non-broadcast/non-resale professionals and promoters. 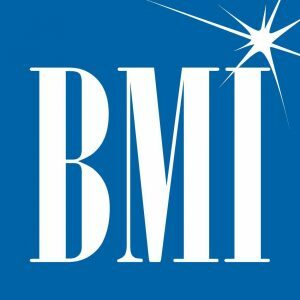 As applicable, for use only in ASCAP & BMI performance rights complaint venues for promotional purposes only as defined by the US Copyright Act. DJ Leakz may modify this Agreement from time to time without notice and in its sole discretion, and such modification shall be effective upon posting by DJ Leakz on the DJ Leakz website. You agree to be bound to any changes to this Agreement when you use the DJ Leakz website after any such modification is posted. It is therefore important that you review this Agreement regularly to ensure you are updated as to any changes. 1. Grant : DJ Leakz grants to you a non-exclusive, non-transferable, WITHIN UNITED STATES – performance rights complaint venues for promotional and personal/professional (i.e., non-commercial/non-resale) purposes only as defined by the US Copyright Act, OUTSIDE UNITED STATES – licensed performance venues as indicated by your country’s laws. Except as set forth here, no interest, title, rights or license to any software, documentation, hardware, or any intellectual property embodied or used in connection with the Materials, or the website is transferred to you. Use of and Account membership in the DJ Leakz Service is void where prohibited. By using the DJ Leakz Service, you represent and warrant that (a) all registration information you submit is truthful and accurate; (b) you will maintain the accuracy of such information; and (c) your use of the DJ Leakz Service does not violate any applicable law or regulation, (d) you shall indemnify DJ Leakz against any breach or violation by you of this agreement/law. 2. Termination: This Agreement is for an ongoing term, not specific in length, which may be terminated by either party without written notice. If DJ Leakz believes you are misusing your access to the website or that your login information has been compromised, your registration will be terminated immediately. Notwithstanding the foregoing, DJ Leakz may terminate your Account and access to the Service at any time, for any reason, without warning. Even after your Account is terminated, this Agreement will remain in effect. 3. Fees: You acknowledge that DJ Leakz does and/or reserves the right to charge for the DJ Leakz Service and to change its fees from time to time in its discretion, and to charge customary late fees (the Subscription information is incorporated herein by reference). If DJ Leakz terminates your Account because you have breached the Agreement, you shall not be entitled to the refund of any unused portion of subscription fees. If you cancel your DJ Leakz account before the renewal term, you shall not be entitled to the refund of any unused portion of subscription fees. All our subscriptions are recurring, it means that you will be billed again at the end of the choosen period. If you want us to cancel the subscription, contact us by mail at [email protected] . Beside that, your account will remain active until the subscribed period ends. The “Satisfied or Refunded” period is 7 days after the first purchase. 4. Password: When you sign up to become a Customer or Subscriber, you will also be asked to choose a password. You are entirely responsible for maintaining the confidentiality of your password. You agree not to use the account, username, or password of another Customer or Subscriber at any time or to disclose your password to any third party. You agree to notify DJ Leakz immediately if you suspect any unauthorized use of your account or access to your password. You are solely responsible for any and all use of your account. 5. Users: Users include, but are not limited to, Program Directors, Music Directors, Production Directors and Mixers of licensed radio stations, as well as college radio, satellite, internet, club, and mix show DJs. Information provided by potential users shall be verified. Upon verification, the user will have access to the DJ Leakz Service. Users shall be required to have and maintain an e-mail address on file with DJ Leakz. 6. Content: The Content Providers retain ownership of any and all copyright, trademark, publicity, privacy and/or any other intellectual property rights they may have in the Materials (as DJ Leakz is an independent sub-contractor to non-exclusively market and promote the Content). DJ Leakz retains ownership in the website and any underlying programming, object code, source code, scripting, designs or systems therein. 7. Copyright Policy: The Material available through the Service is/are the property of the Content Providers or its licensors (or DJ Leakz) and is protected by copyright, trademark, patent and other intellectual property laws. You may NOT substantially modify, distribute, or reproduce in any way any copyrighted Material, trademarks, or other proprietary information belonging to others (for profit or otherwise), and you have no right to provide any files obtained through the Service to any other party through any other means, without obtaining the prior written consent of the owner of such proprietary rights. If you believe that your work has been copied and posted on the DJ Leakz website in a way that constitutes copyright infringement, please provide our Copyright Agent with the following information: (i) an electronic or physical signature of the person authorized to act on behalf of the owner of the copyright interest; (ii) a description of the copyrighted work that you claim has been infringed; (iii) a description of where the Material that you claim is infringing is located on the DJ Leakz website; (iv) your address, telephone number, and email address; (v) a written statement by you that you have a good faith belief that the disputed use is not authorized by the copyright owner, its agent, or the law; (vi) a statement by you, made under penalty of perjury, that the above information in your notice is accurate and that you are the copyright owner or authorized to act on the copyright owner’s behalf. Once such documentation has been received and signature accepted by an authorized DJ Leakz officer, all offensive content will be removed from the Website or Service. Notwithstanding the foregoing, you shall be allowed to reasonably edit, re-mix, blend, mash-up, add intros/outros, compile and create derivative works of the Content and perform the Content online (including on mobile and tablet platforms) and offline in customary media (i.e., spinning at clubs/radio, mixtapes/CDs, mixshows, blogs, social media, audience-driven events, etc. ), solely for promotional and non-commercial personal/professional use purposes, and with proper credit given to the Content Providers and underlying performers, producers, songwriters. Any and all audio, photos, pictures, graphics, and other content, data or information that you upload, store, transmit, submit, exchange or make available to or via the Website (hereinafter “Your Content”) is generated, owned and controlled solely by you, and not by DJ Leakz. DJ Leakz does not claim any ownership rights in Your Content, and you hereby expressly acknowledge and agree that Your Content remains your sole responsibility. Without prejudice to any other Terms, you must not upload, store, distribute, send, transmit, display, perform, make available or otherwise communicate to the public any content to which you do not hold the necessary rights. In particular, any unauthorized use of copyright protected material within Your Content (including, without limitation, by way of reproduction, distribution, modification, adaptation, public display, public performance, preparation of derivative works, making available or otherwise communicating to the public via the Website) may constitute an infringement of third party rights and is strictly prohibited. Any such infringements may result in termination of your access to the Website, including termination of your account, and may also result in civil litigation or criminal prosecution by or on behalf of the relevant rights holder. Furthermore, DJ Leakz will terminate your access to the Website if, under appropriate circumstances, you have been determined to be a repeat infringer. You agree to indemnify, defend and hold DJ Leakz and its affiliates, and each of DJ Leakz and its affiliates’ respective past, present and future officers, directors, agents, subsidiaries, employees, contractors, suppliers and principals, harmless from any loss, liability, claim or demand, including reasonable attorneys’ fees, made by any third party due to or arising out of your use of the Website including, without limitation, in connection with any claims made by SoundCloud® regarding Your Content. 8. Disclaimers: DJ Leakz is not responsible for any incorrect or inaccurate content posted on the DJ Leakz Website or Service whether caused by Visitors of the DJ Leakz Website or Service or by any of the equipment or programming associated with or utilized in the DJ Leakz Website or Service. The DJ Leakz Service are provided “AS-IS” and as available and DJ Leakz expressly disclaims any warranty of fitness for a particular purpose or non-infringement. DJ Leakz cannot guarantee and does not promise any specific results from use of the DJ Leakz Website or Service. DJ Leakz may in its sole discretion and at any time without penalty or liability discontinue providing the Service without notice. 9. Limitation on Liability: IN NO EVENT SHALL DJ Leakz BE LIABLE TO YOU OR ANY THIRD PARTY FOR ANY INDIRECT, CONSEQUENTIAL, EXEMPLARY, INCIDENTAL, SPECIAL OR PUNITIVE DAMAGES, INCLUDING LOST PROFIT DAMAGES ARISING FROM YOUR USE OF THE WEBSITE OR SERVICE, EVEN IF DJ Leakz HAS BEEN ADVISED OF THE POSSIBILITY OF SUCH DAMAGES. NOTWITHSTANDING ANYTHING TO THE CONTRARY CONTAINED HEREIN, DJ Leakz’S LIABILITY TO YOU FOR ANY CAUSE WHATSOEVER AND REGARDLESS OF THE FORM OF THE ACTION, WILL AT ALL TIMES BE LIMITED TO THE AMOUNT PAID, IF ANY, BY YOU TO DJ Leakz FOR THE DJ Leakz SERVICE DURING THE TERM OF MEMBERSHIP. 10. Indemnity: You agree to indemnify and hold DJ Leakz, its subsidiaries, and affiliates, and their respective officers, agents, partners and employees, harmless from any loss, liability, claim, or demand, including reasonable attorneys’ fees, made by any party due to or arising out of your use of the DJ Leakz Website or Service in violation of this Agreement and/or arising from a breach of this Agreement and/or any breach of your representations and warranties set forth above and/or if any content that posted on the DJ Leakz Website or through the DJ Leakz Service causes DJ Leakz to be liable to another. 12. Miscellaneous/Other: This Agreement is accepted upon your use of the DJ Leakz Website or any of the DJ Leakz Service and is further affirmed by you obtaining an Account. This Agreement constitutes the entire agreement between you and DJ Leakz regarding the use of the DJ Leakz Website and Service. The failure of DJ Leakz to exercise or enforce any right or provision of this Agreement shall not operate as a waiver of such right or provision. The section titles in this Agreement are for convenience only and have no legal or contractual effect. This Agreement operates to the fullest extent permissible by law. If any provision of this Agreement is unlawful, void or unenforceable, that provision is deemed severable from this Agreement and does not affect the validity and enforceability of any remaining provisions. You must be of legal age to use the Service. Contact DJ Leakz with any questions regarding this Agreement.